Our HK Style 3-Lug Adapter is threaded internally with 18 X 1mm threads to attach to the threaded barrel of a CZ Scorpion Evo. This allows the use of 3-lug attachments to be added to the male end of the adapter such as flash hiders, compensators, suppressors, etc. Only the HK Parts offering has the correct locking tabs to index with the EVO retaining clip. The CZ EVO Buffer Tube Adapter enables the addition of an aftermarket pistol or rifle buffer tube ( All NFA rules apply) to any CZ Evo firearm. Each unit is a drop in part that installs in seconds on your EVO and can be taken off or reinstalled in seconds. No special tools needed. 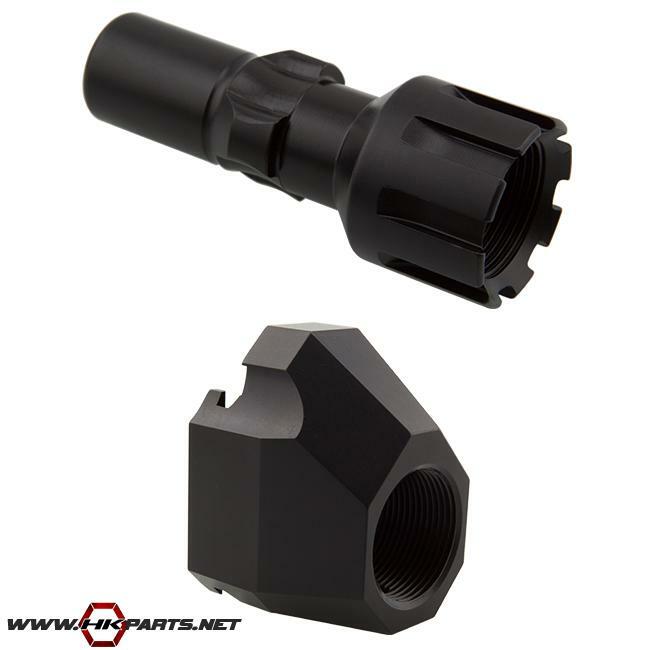 With the adapter installed you can install your choice of AR style buffer tube, stock or brace, blade, etc.